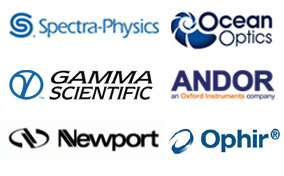 We have various spectroscopy system product from several top brand in the world. 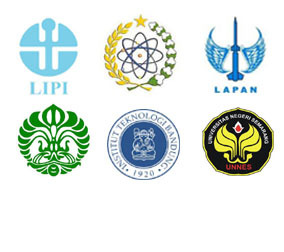 We offer the best products for various application. For specific application please contact us to get the best and most suitable for your requirement. The IS series minispectrometers cover the spectral ranges 190-380 / 200-800 / 380-1100nm in both fiber-coupled and free-space configurations. They provide superior UV performance based on a Si NMOS photodiode array, addressing both the needs of researchers and system integrators. 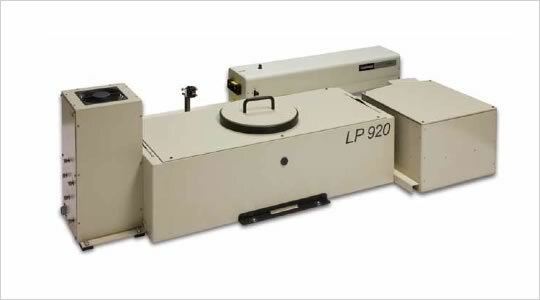 Imbued with versatility and features, this is a CCD spectrometer based on the Hamamatsu S9840 back-thinned CCD detector for very high UV sensitivity and the Toshiba TCD1304 CCD for UV/VIS/NIR ranges. 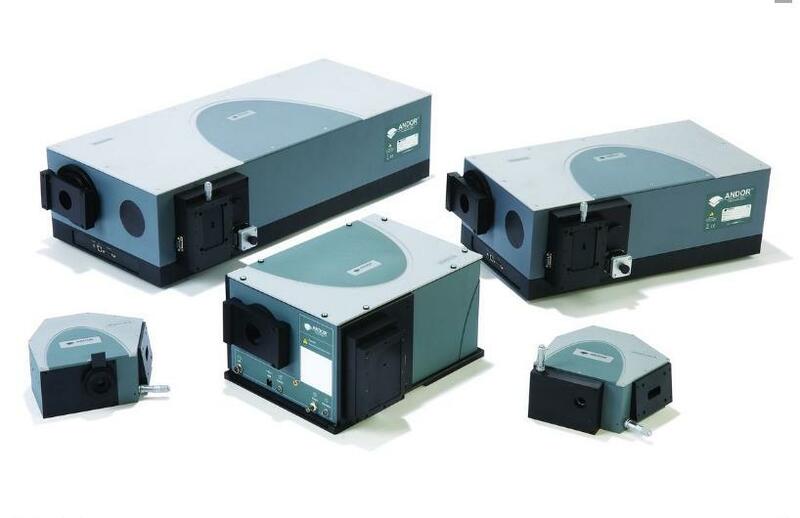 These spectrometers cover wide spectral ranges of 190-400/200-850/200-1090/400-700/350-1000/740-860/680-920/900-1700/1250-2500. They also have a powerful internal DSP chip for data processing and a USB 2.0 port for easy connection to a PC. Besides the compact size, its design is also highly robust to meet the stringent demands of industrial and OEM applications. The QE65 Pro is our next-generation scientific-grade spectrometer with high sensitivity and low stray light performance that make it ideal for a wide range of low light level applications such as fluorescence, DNA sequencing and Raman analysis. 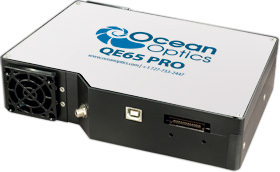 The enhanced QE65 Pro has an athermal design that promotes excellent spectrometer wavelength stability, triggering functions for providing accurate timing and synchronization between the spectrometer and other devices and a replaceable slit design for added convenience. 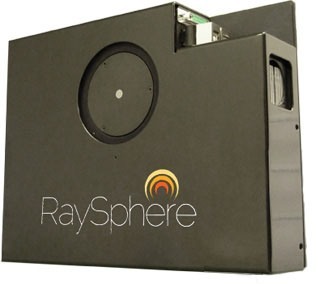 The new RaySphere from Ocean Optics measures absolute irradiance over spectral ranges from the UV to the NIR (350 to 1700 nm). This portable system is ideal for solar simulator manufacturers and research and development labs as a tool to validate the output of installed solar flashlamps. The flash of a solar simulator is used within the photovoltaic (PV) manufacturing process for the binning of cells according to spectral response and for final PV module efficiency measurements. 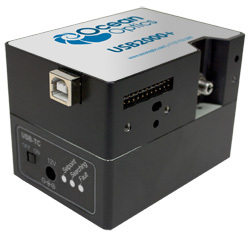 The new USB Temperature Controller (USB-TC) is an attachable heating device for our USB4000 and USB2000+ Miniature Spectrometers that greatly improves the stability of your measurements. The USB-TC attaches directly to your spectrometer’s optical bench and maintains a preselected temperature that allows your spectrometer’s optical alignment to remain accurate. Jaz is like nothing you’ve ever seen before — a community of stackable, modular and autonomous components that combine to create a family of smart sensing instruments. Jaz is unfettered by the limits of traditional optical sensing instrumentation. 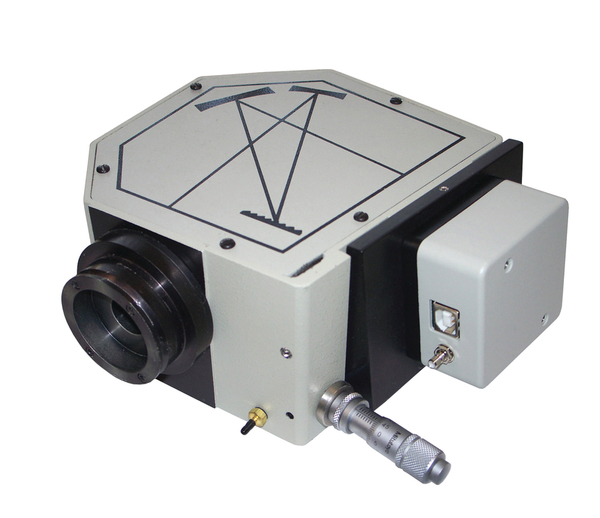 Its unique features and expandable platform makes it uniquely suited for field applications, remote sensing, process flow and quality assurance. Also available with an LED module that allows you to switch out LED bulbs much more easily. 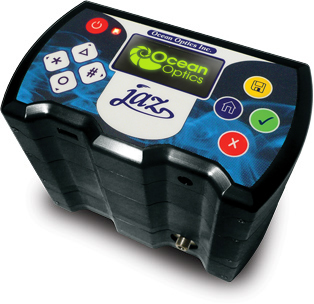 The Ocean Optics line of high-sensitivity back-thinned 2D FFT-CCD spectrometers for low light-level, UV-sensitive and other scientific applications which offer greater than 90% quantum efficiency, high dynamic range and excellent UV response. Torus delivers scientific-grade performance with outstanding thermal stability, making it a brilliant choice for color measurement of LEDs and absorbance measurements up to 3.0 OD. The concave grating also helps to improve thermal stability of the Torus. Wavelength drift is nearly eliminated and peak shape stays the same over a wide temperature range. 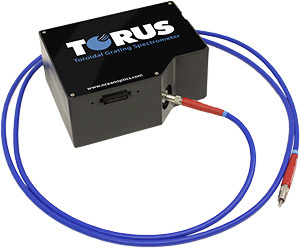 As a result, Torus makes possible precision metrology, fluorescence and absorbance applications with demanding stray light and thermal stability requirements. 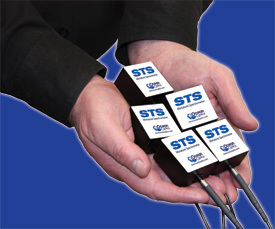 Our new STS Microspectrometer is a remarkably small CMOS-based unit that is less than 50 mm square and weighs just over 2 ounces. This ultra-compact spectrometer is ideal for OEM devices and provides full spectral analysis with low stray light and high signal-to-noise ratio. STS boasts optical resolution of ~1.5 nm (FWHM) with a 25 µm slit and is particularly suited for high-intensity applications such as LED characterization and absorbance/transmission measurements. 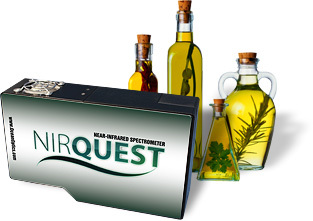 The NIRQuest series of spectrometers are small-footprint, near-infrared instruments with high-performance response that cover various ranges from 900-2500 nm. 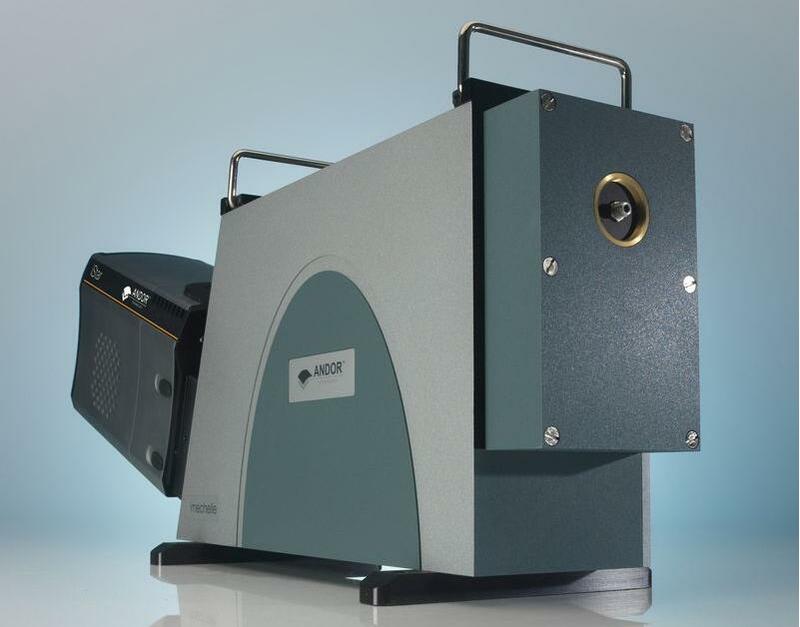 Thanks to their low-noise optoelectronics and a range of grating and bench options, NIRQuest spectrometers are ideal for demanding applications ranging from moisture detection and chemical analysis to high-resolution laser and optical fiber characterization. NIRQuest spectrometers can also be customized for a variety of applications by selecting different gratings, slits and optical bench accessories. 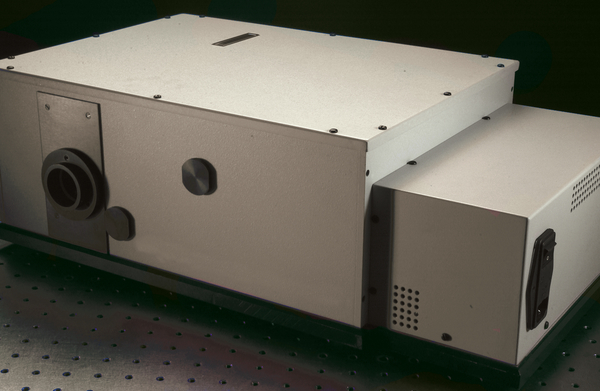 The cuvette holder is a multi-purpose tool that can be used for fluorescence, transmission, absorption and scattering measurements. It has 4 input/outputs to support a variety of different applications. As well, it includes a filter holder to customise either input or output spectral characteristics. The reflectance probe is a robust, multipurpose tool for reflectance measurements. It uses 7, 200 μm core optical fibers in the probe tip for light output and detection. The center fiber is then split into one end of the bifurcated patchcord and the other 6 fibers into the other end. The reflectance probe can be used for such applications as reflectivity, color and thin film thickness measurements. It works well when used in conjunction with a Photon Control spectrometer, light source and SpecSoft software, as an integrated measurement solution. The breakout board allows the user to conveniently access additional features of the Photon Control spectrometers. The breakout board plugs into the spectrometer through its 30 pin interface connector, allowing the user to access 4 analog inputs, 3 digital outputs and 4 digital inputs through convenient screw terminals. As well, the external trigger input can be accessed from these same terminals, or through a button for manual trigger operation. When used with a Photon Control spectrometer, the SpecSoft software, and/or one of our software development kits, the whole system becomes a complete data acquisition and control system with a PC through the USB connection. 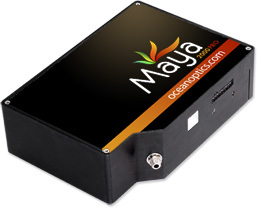 The OSM series spectrometers answer the need for portable, turn-key instruments for fixed data acquisition applications. Data can be stored, archived and transported on removable SmartMedia memory cards or simply stored into the instrument’s on-board 4-MB memory for future retrieval. Interfaces for remote control are also available. 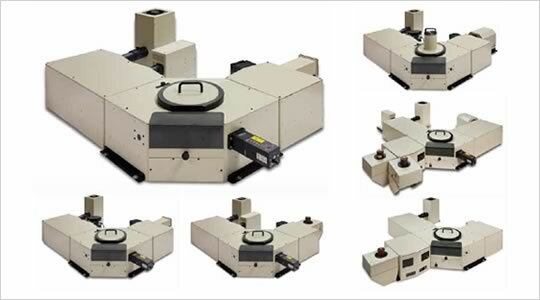 We provide a range of 1/4m and 1/8m monochromators that are economical, have manual and automated operation options and come with good to high resolution. 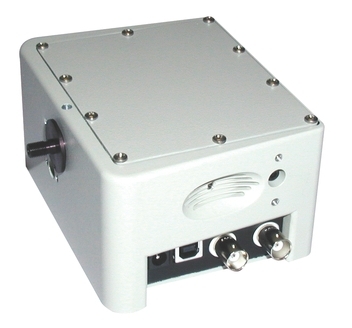 These monochromators are designed for general-purpose laboratory work or academic applications.